America’s first cocktail, the Sazerac, was created in New Orleans, an exuberant city that has a unique atmosphere, is famous for its music, festivals and classic cocktails. 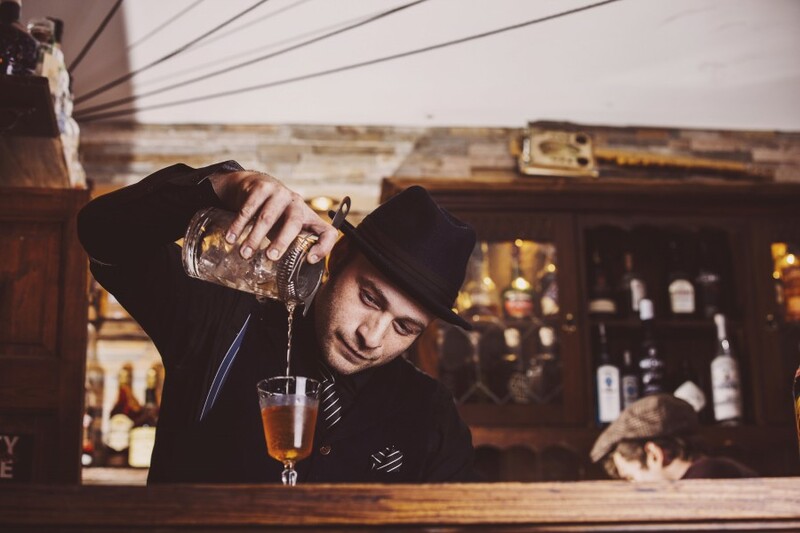 Back in 1838, Antoine Peychaud created the drink in a French Quarter bar and named it in homage to his favourite French brandy, Sazerac-de-Forge et fils. The drink was changed about 30 years later when American Rye whiskey was substituted for cognac, and a dash of absinthe was added by bartender Leon Lamothe. In 1912, absinthe was banned for its supposed hallucinogenic and evil properties, so Peychaud substituted his special bitters in its place. However now we can once again enjoy the delights of a good absinthe, we recommend using an absinthe wash on your glass when making a Sazerac. In 1893 the Roosevelt Hotel was built in the city, and later the hotel trademarked the Ramos Gin Fizz (another delicious drink that is also on the Riddles cocktail programme) In 1938, the hotel opened the Main Bar, now famously known at the Sazerac Bar. In March 2008, Louisiana state senator Edwin R Murray filed Senate Bill 6 designating the Sazerac as Louisiana’s official state cocktail. The bill was defeated on April 8, 2008 but after further debate, on June 23, 2008, the Louisiana Legislature agreed to proclaim the Sazerac as New Orleans’ official cocktail. Hoorah! If only this meant it was a mandatory law that you had to have at least one a week to be a citizen of New Orleans ( Plane Please!) we would be there in a shot. Still by all accounts if you are a cocktail lover and a lover of good music for that matter, New Orleans has to be on your dream destinations list. Today, the Sazerac is enjoyed in many of New Orleans’ finest bars and is also a firm favourite among our customers in Altrincham. So if you haven’t already tried one, do so this Saturday at our New Orleans Mardi Gras party where our Sazerac will be available at a special price of £7 for the occasion. However, if you are stuck at home and can’t join us, we can help you make this cocktail at home. Some of the ingredients you may find tricky to get hold of but do not dismay, your local Riddles Emporium will be open towards the end of March so all these ingredients (and cocktail making equipment) will be available from there! In an Old-Fashioned glass muddle a sugar cube with a few drops of water.